A true American classic. Arthur Miller's Death of a Salesman unweaves the lives of Willy Loman, a traveling salesman determined to live the American dream, his sons Biff and Happy, and his wife Linda. One of the most powerful plays in American literature, Death of a Salesman is a theater experience that should not be missed. Directed by Vincent Murphy.Opens June 28. 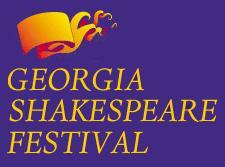 I approached Georgia Shakespeare Festival�s production of Arthur Miller�s �Death of a Salesman� with some trepidation. It has always been one of those �important� plays that I thought fit better in a classroom than on a stage. I understood Miller�s fondness for Willy Loman, his elegiac language mourning the loss of a way of life, the futility of the �little man� against heartless bureaucracy, and his elevation of salesmen to tragic, even mythic stature. The problem is, I don�t share any of these feelings. I intensely dislike salesmen of any sort and go out of my way to avoid them. Worse than that, Willy Loman lets himself be victimized by the system, a facet which always made him, in my eyes, a much less compelling tragic hero than the characters in �The Crucible,� �All My Sons,� and �A View From the Bridge.� Those were characters, who, though they were also victims of a system, fought to maintain their integrity and their pride. They go down swinging. Yes, Willy fights to maintain his dream of importance � but, unlike Miller�s other heroes, it is an empty dream, more selfishness than pride or integrity. And, unlike Miller�s other heroes, Willy is blind to the damage he inflicts on those who do love and honor him. A few years ago, I saw a preview of Brian Dennehey�s Willy Loman in New York. While the performances in that production were fine, they were buried by a production filled with technological whirligigs and computer-driven set pieces. That piece was over-produced to the point of obscuring the character and the entire point of the play. Also, many years ago, I sat through a production in which the pace was stretched to a leisurely four hours. Even the cast referred to it as �Death of an Audience.� And all the film and television versions sacrificed the dream-like glimpses into Willy�s memory for realism. They all kill the poetry, and, again, make the experience of watching the piece a chore. All this is rather long-winded way of building up to this: I thought GSF�s production was wonderful. This was not a chore to sit through, and the reason is very simple � the four lead actors did not back away from the pain. Every production I have experienced before this always diluted the climaxes. Yes, the actors grew loud and histrionic, but, whenever the characters were in pain, they played it safe (I include Dennehey, Dustin Hoffman, and even Lee J. Cobb in this assessment). Tim McDonough, Daniel May, Janice Akers, and Brad Sherrill all let themselves be naked and vulnerable and aching, and I felt it. I �got� this play in a way I had never �got� it before. Even the minor characters found a depth I�d rarely seen before, especially Carolyn Cook, who shows us the vulnerable side of the woman in Boston. I can�t give the production a perfect �5� because I found some of the sound effects distracting (echoing footsteps and distant drums), and the casting of Sherrill and May seemed oddly reversed (at first), though both actors overcame that �first impression� with aplomb. I can still sit and argue intellectually about how the play falls short of Miller�s other work. But, when all the debating and intellectualizing is over, I must admit that, at the gut level, I was more moved by this production than anything I have seen in a long time. And isn�t that what the play is about? To make the common man, someone you would take pains to avoid, a tragic hero, worthy of sympathy and respect. Vinnie Murphy's production of "Death of a Salesman" is one of the most beautiful nights of theater I have ever experienced. Tim McDonough's Willy is perfect, jumping back and forth between reality and the past. After seeing Mr. McDonough is several comic roles (Tartuff and Twelfth Night), it was a pleasure seeing him give such a raw and instense performance. Janice Akers will break your heart as Linda. She never breaks down into hysterics--her Linda is in control and trying to save her husband. She is increadible to watch. Daniel May and Brad Sherrill also give supurb performances as the boys. This will be the best production you see this season! Vincent Murphy has thoughtfully and gracefully staged the classic tale of Willy Loman (who, by the way, is NOT a shoe salesman, despite what many 10th graders and Wendell Brock of the AJC may think. We are never told what he sells, as he is supposed to represent every man). Murphy has a clear vision and a dead on understanding of the text. The cast is amazing. Tim McDonough and Janice Akers as Willy and Linda are perfect (as thery were in The Trestle at Pope Lick Creek at Emory). I felt that Daniel May (as Biff) was a bit out of his depth, as he always seemed to be working very hard. Brad Sherrill is a very thoughtful and sensitive Happy. Carolyn Cook is so interesting in the small part of the woman that Willy has an affair with that she completly reshaped the role. The sets, lighting, sound and costumes are exactly right and support the show as opposed to upstaging it. Even if you didn't enjoy reading this show in high school, or thought it was too depressing, or never really "got it", this production will make you a fan. I just saw the show last night, and I must tell you, I agree with everything you said accept for your comments on Daniel's performance. I think you are way off base. I thought he was absolutely amazing, specific, engaging and graceful (I could use several other adjectives, all of them stimulating and positive, but the list would be to long). And he was playing the older brother to a man much older than he and I never questioned his age.